Jubilee is a Christian Charity based in Doncaster in the United Kingdom. We work in partnership with individuals, groups and organisations. Jubilee works in communities, in business, in education, as well as through denominations, Christian networks and churches. 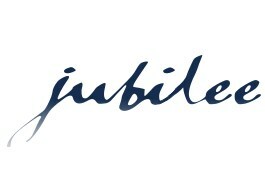 The Jubilee Trust was founded in 1999 by Ian & Alyson Mayer, and exists to support and resource people, in developing a meaningful and authentic faith in every sphere of their lives.